Travel to a secluded location, hidden away in the Sahyadri hills near the Visapur Fort, and spend the night in tents at a scenic campsite. Here, check-in to your alpine tents and leave your troubles behind for a night of fun with your friends. You can relax with mountain views from the campsite, play outdoor games like cricket, football or badminton, click photos of the crimson sunset in the evening. At night, you can gather around a crackling bonfire, taste some delicious BBQ snacks and settle in for a merry night under the star-studded sky. 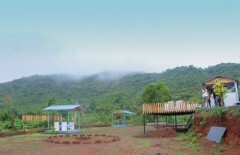 Located far from the urban noise of the city, your campsite stands in the shadows of mountains in the Western Ghats, near the popular Visapur Fort. 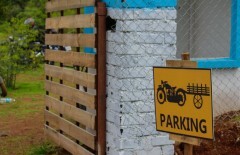 Placed upon a terraced farm, the campsite is accessible via a short approach road. Feel the cool breeze of the night, gather around the crackling bonfire at the campsite and enjoy the company of your friends. At the campsite, you'll be accommodated in alpine tents with a foam mat, blanket, bedsheet and pillow. Delicious, simple and filling meals will be served at the common dining area. You'll have access to common washrooms. 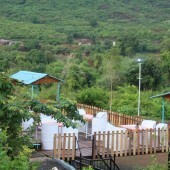 • Spend a night at a picturesque campsite near the Visapur Fort. • Grab gorgeous sunset views over the mountains. • Enjoy delicious BBQ snacks around the bonfire. • Escape from the city for a quick holiday in the outdoors. • Sleep in alpine tents for an authentic camping experience. 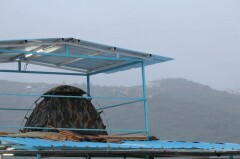 This camping trip near the Visapur Fort is a non-strenuous activity. However, if you have a heart condition or a respiratory problem like asthma, or any form of allergies, kindly check with your doctor before booking this trip. 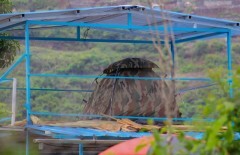 For any cancellations made after booking the camping trip near Visapur Fort: no refunds. Check-in time at the campsite is 16:30 hrs and check-out time at the campsite is 11:00 hrs. Bookings for children younger than 5 years are not charged. Bookings for children between the ages of 5-12 years are charged at a discount of 50% of full price. Bookings for children older than 12 years are charged at full price. There is no pick-up for this camping trip near Visapur Fort. 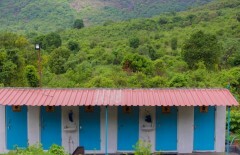 There is no drop-off for this camping trip near Visapur Fort. 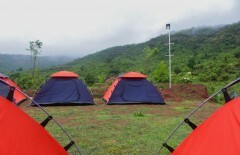 Day 1 of camping near Visapur Fort: Check-in and enjoy! Arrive and check-in at the campsite by 16:30 hrs. You can leave you bags in the tents and take a stroll to explore the surroundings. Spend the rest of the afternoon at leisure. After some evening snacks, you can participate in outdoor games like cricket, football or badminton. In the evening, you can gather around a bonfire with you friends and have delicious BBQ snacks. Overnight in alpine tents at the campsite. Wake up and spend a lazy morning at the campsite. You'll check-out from the campsite by 11:00 hrs. Your trip ends here. Check-in to the campsite by 16:30 hrs. Today's meal package includes evening snacks and dinner. Evening snacks usually include pakodas with tea. Dinner usually includes a paneer preparation, two chicken preparations, chapati, dal and rice. You'll be accommodated in alpine tents with a blanket and pillow. 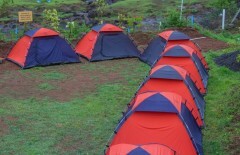 Depending on your group size, tents will be allotted on twin, triple or quad-sharing basis. 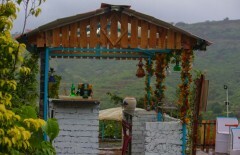 You can hire a private cab or taxi and travel to the campsite, located 40-km/1-hr drive from Lonavala, 70-km/2-hr drive from Pune and 120-km/3-hr drive from Mumbai.